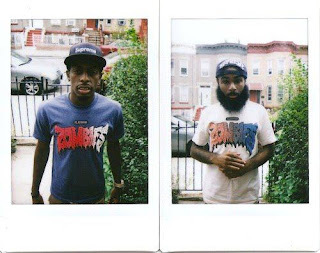 Flatbush Zombies - "When In Roam"
You can't argue that Flatbush Zombies are not original or do not have their own way about the hip hop music they make, which they continue to do on, "When In Roam," their latest cut. The title is an interesting play on the cliched saying, "When in Rome" but the emcees flow with ease on the piano heavy instrumental. These guys have a bright future and 2013 should treat them well. Stream "When In Roam" below and let us know what you think.